A truly unspoiled landscape waiting to be discovered. The valley stretches from 400 to 4000 m above sea level and impresses with an unspoiled landscape and traditions. Marvellous cypress trees and Swiss stone pines, meadows covered with vineyards and orchards, the slopes of Mount Sonnenberg, green forests, valleys and a snow-covered landscape of incredible beauty. 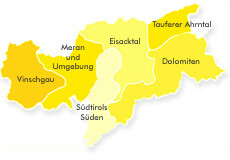 Discover the beauties of the Vinschgau/Venosta Valley, a valley rich in contrasts, culture and tradition. In summer you can expect pure mountain air, crystal-clear alpine lakes and lots of sunshine. Venosta offers all types of accommodation from holidays on a farm to luxurious 4-star hotels. 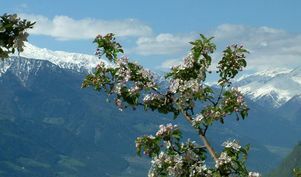 Cycling holiday: Venosta offers 150 km of sign-posted cycling paths from the Resia Mountain Pass to Merano and cyclist-friendly accommodations. 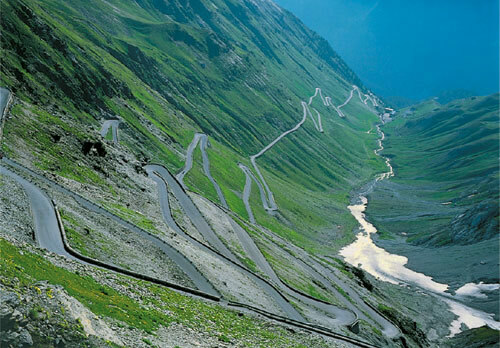 Most of the 120 cycling tours lead through the Stelvio National Park with the renowned Ortles Mountain (4,000 m). Hiking holiday: the Venosta Valley is a hiking paradise for all age groups. 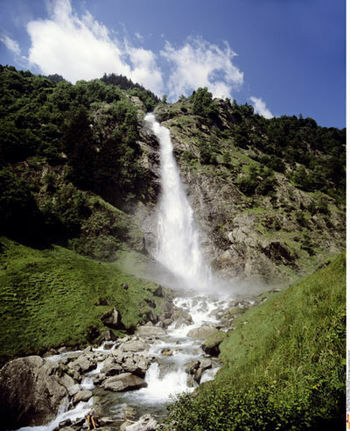 Enjoy demanding hikes to the peaks or easy walks along forest paths and rivers. Conquer the famous Ortles Mountain (4,000 m) by yourself or accompanied by a professional mountain guide and enjoy the breaks in the beautiful traditional huts along the way. Culture holiday: the Venosta Valley features numerous cultural sights like the church tower in the lake, where an entire village had to make space for an artificial lake in 1950, the Marienberg Convent, the highest Benedictine convent in the Alps, Churburg Castle, with the most comprehensive private armoury collection, Glorenza, the smallest city in Europe, Lasa Marble, the hardest and most expensive marble in the world, the Parish Church in Silandro with the highest church tower of Tyrol, Juval Castle, summer residence of mountaineer Reinhold Messner, and much much more… Furthermore, the Venosta Valley offers numerous museums and castles. Another highlight is the ArcheoPark in Senales telling the story of the Ice Man "Ötzi".